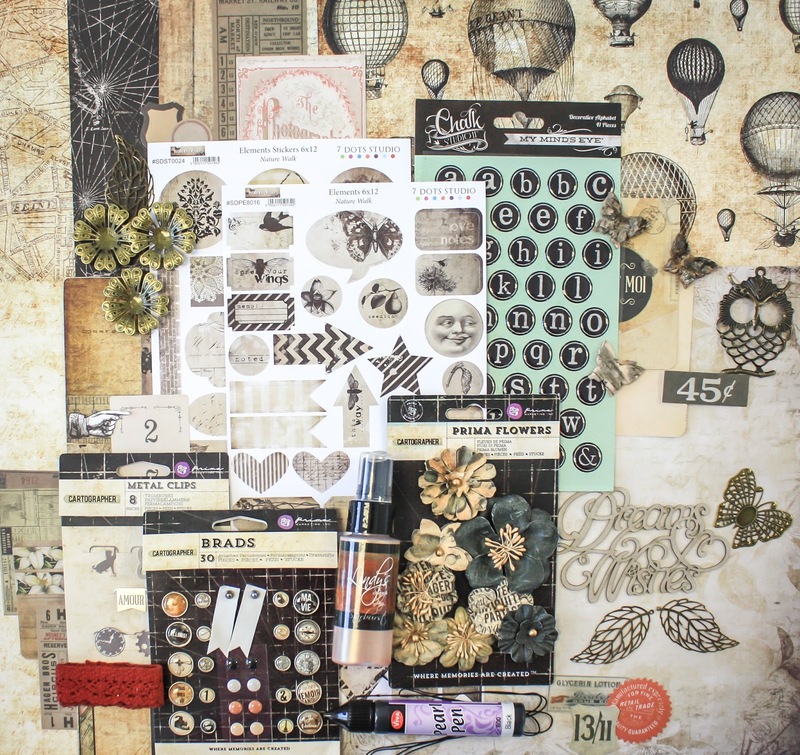 This month features Prima's Cartographer Collection and 7Dots Natures Walk. Both fabulous collections and quite a pair. I created two tags using each collection. 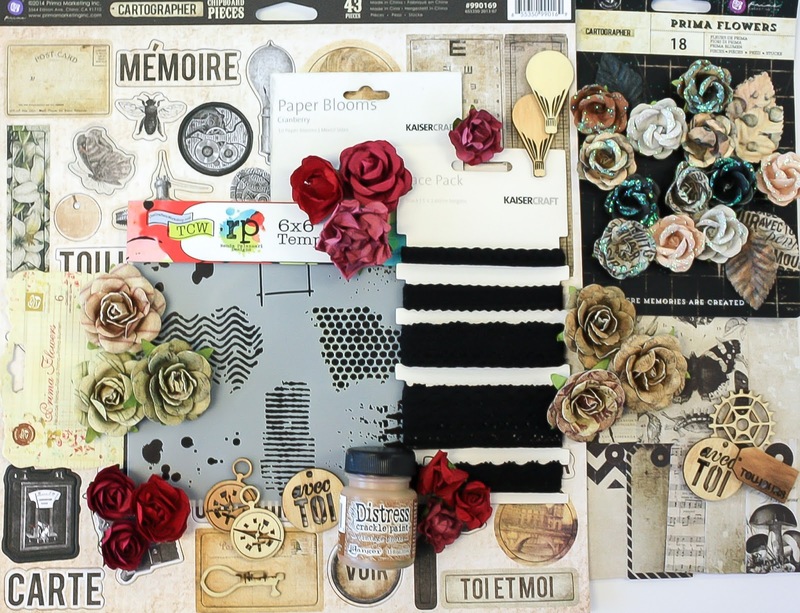 My tag was created with the main kit and a little help from the Mixed Passion Add-on. This is with 7Dots Nature's Walk Collection which can be purchased here. 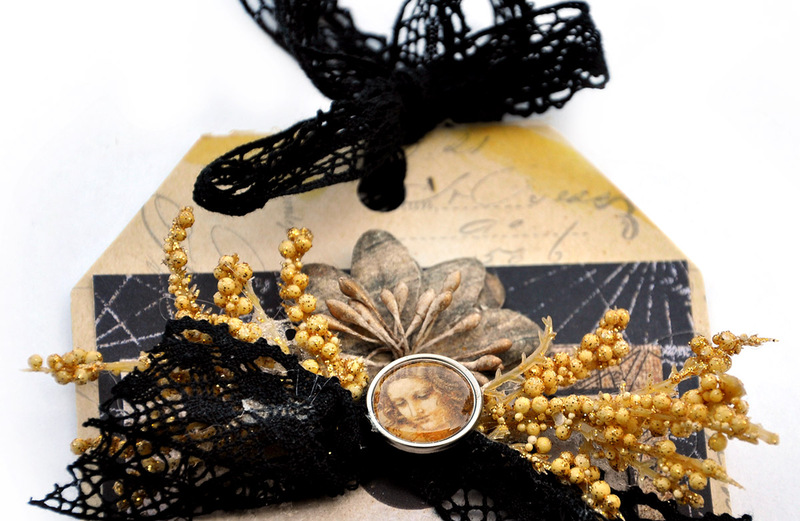 This collection has the most wonderful tags that I used as the top layer. I completed my tag with a sticker sentiment from 7Dots as well. They can be found here. 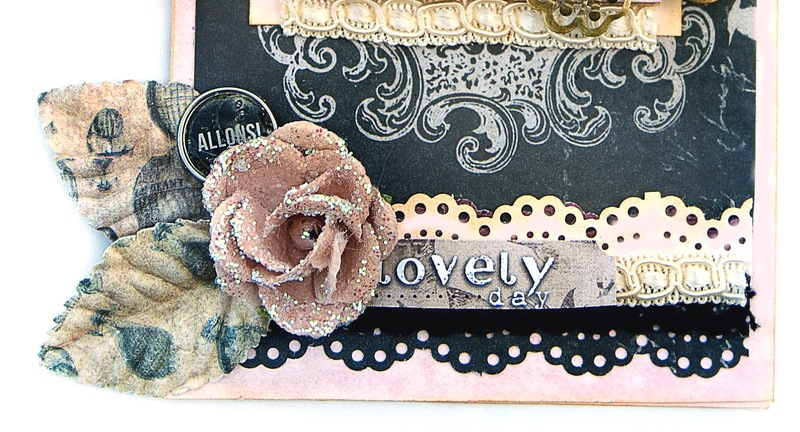 I did mount this tag onto very pale pink card stock to make a tag/card. 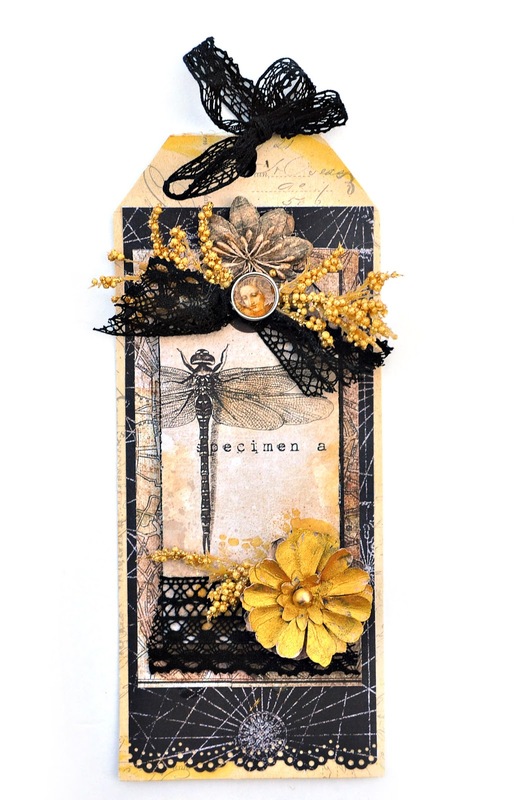 The tag can be hung from a gift with your personal sentiment written inside or can be sent as a stand alone card. 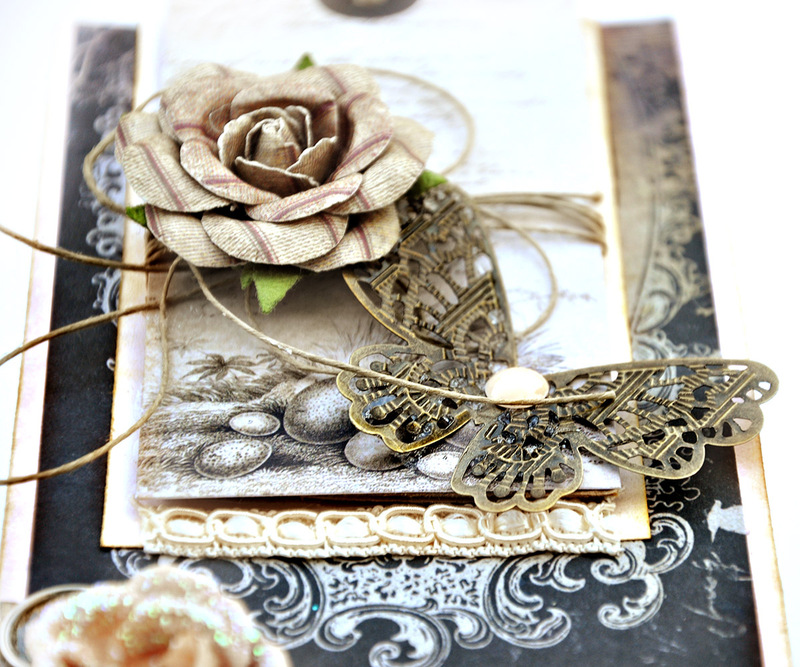 The flowers, leaves, sugar dot inside the butterfly and brads and are from Prima and all come with the kit as well. 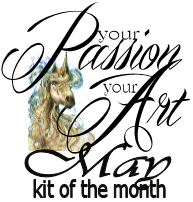 I love the metal Flying Unicorn Adornments that come in the kit. 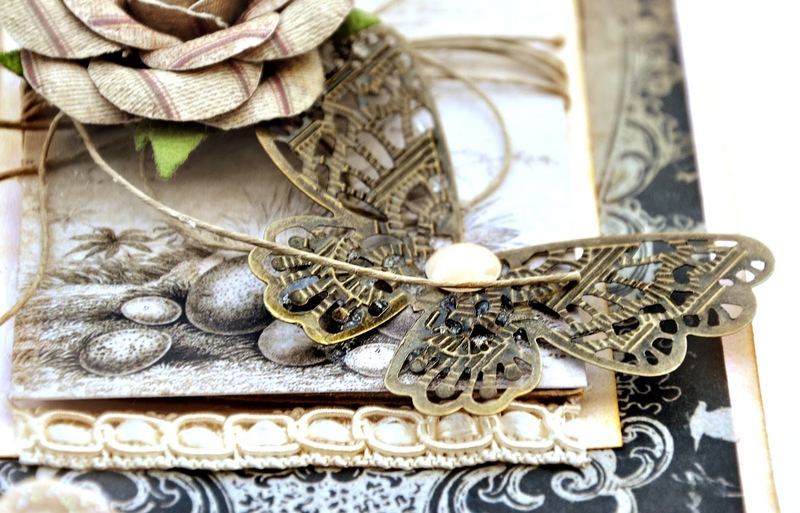 I used the butterfly adornment below and slightly bent it's wings. 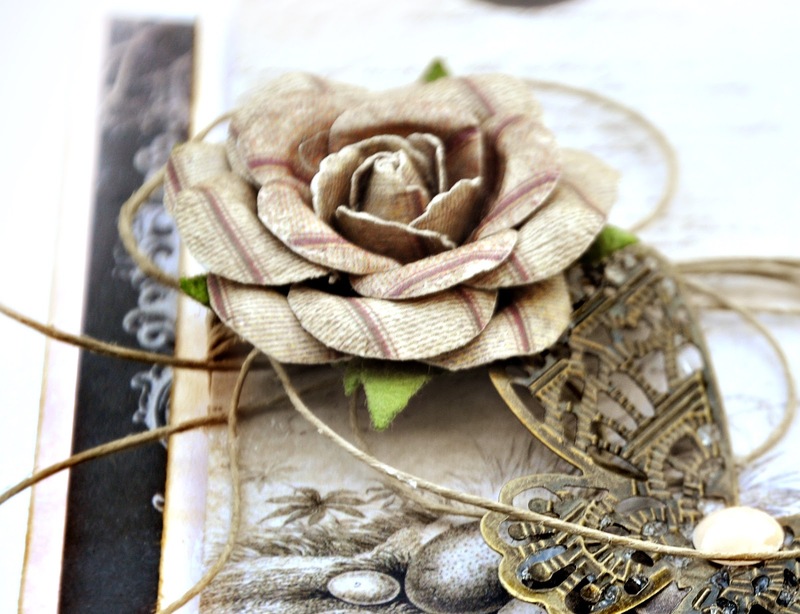 They have the look of old vintage and are easily painted or embossed to change to look and feel. 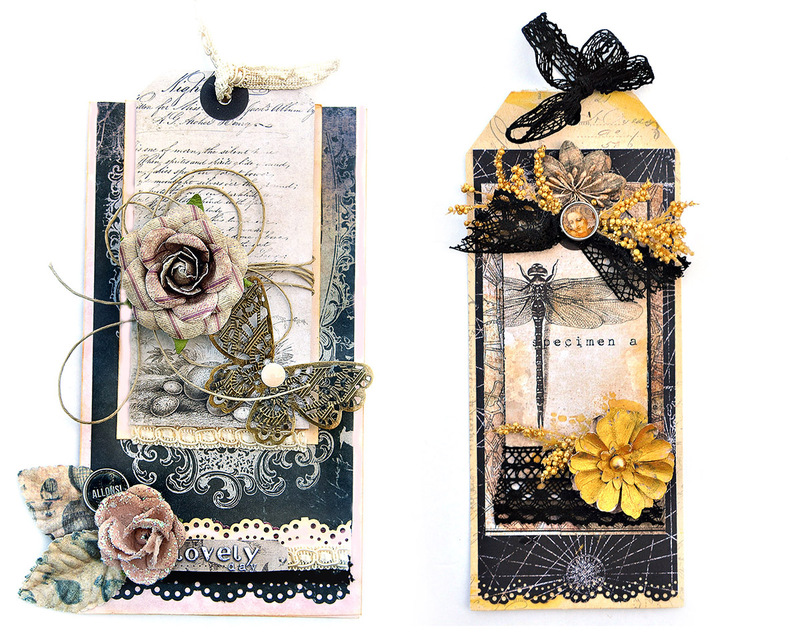 Here is a closer look at the embellishments that come with the kit and the 7Dots sticker sentiment. 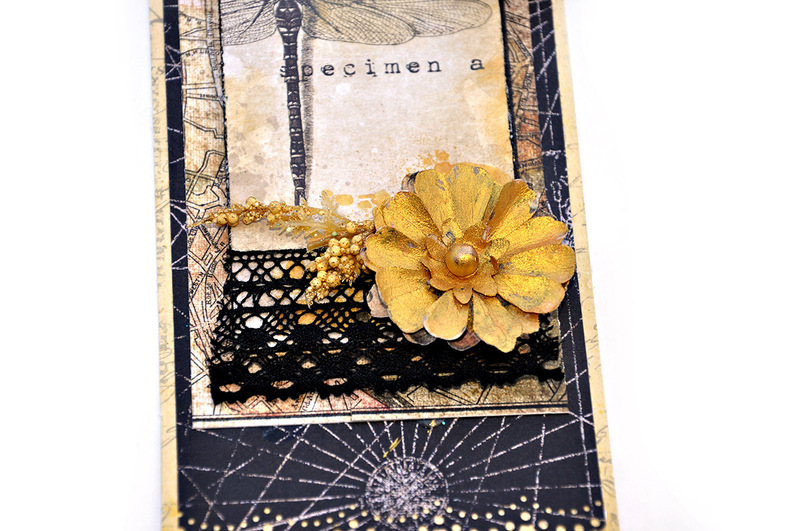 Tag 2 - Features Prima's Cartographer designed by Frank Garcia. Need I say more? Yes absolutely! Gorgeous collection and available at the Unicorns here- but not for long. It has sold out many places - that's what happens with HOT products. 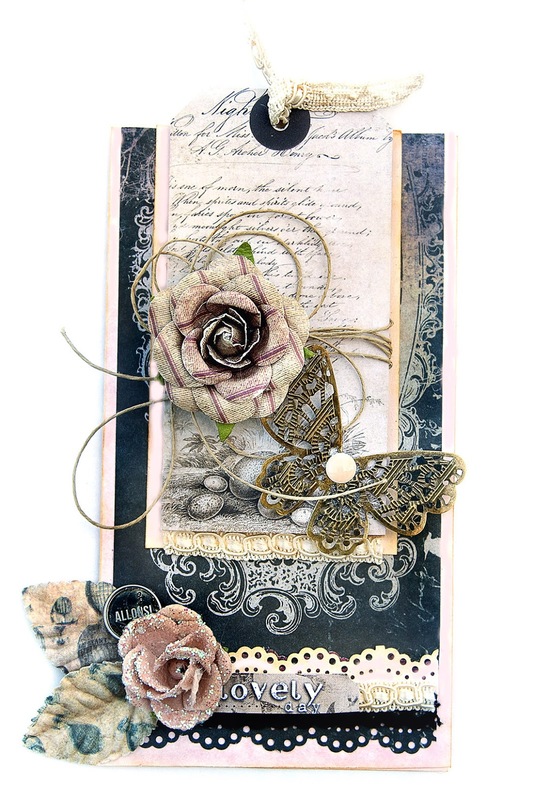 This card features the papers, brads and Vagabond Flowers from the collection. I have some product codes at the bottom of the post. 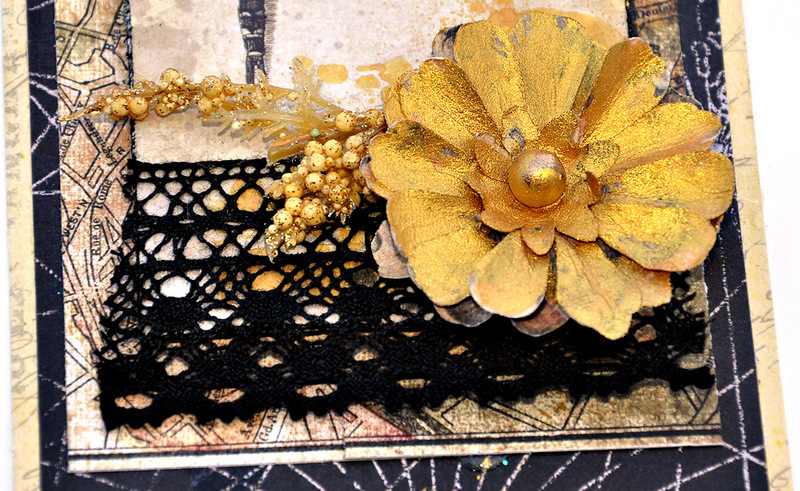 I painted the flower with Splash of Color silk acrylic Glaze - in Emperor's Gold found here.